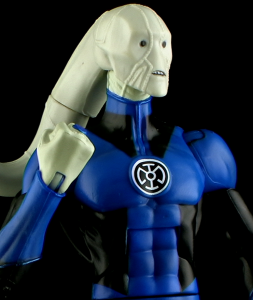 The DC Universe Classics Signature Collection continues into 2013, and kicking off the year is the first member of the Blue Lantern Corp: Saint Walker! Join me for a look at the newest figure from Mattel’s Club Infinite Earths Subscription! Geez that's an ugly figure. Love the MOTU music in the intro!! This is why Mattel needs to start giving us multiple hands to use on these figures.